The past 24 hours have been among the busiest we’ve had since forming Proptech Ireland two years ago. Despite all the articles and information sharing and seminars and caffeine fuelled meet-ups where we’ve discussed the changing landscape for all property stakeholders and the critical need for transformation of traditional estate agency model, what finally got the attention of Ireland’s property professionals was old-school complaints. Conveyancing delays mean than it is now taking up to 200 days to complete a sale. Estate agents reacted to this by calling for the sales process to be overhauled to allow for greater efficiency and transparency for vendors and those looking to buy home – DESPITE being so slow to embrace technology that already exists, like online bidding (OLB) platforms etc, to ensure speed and transparency throughout this process. I noticed on LinkedIn earlier that Healy Hynes, founder and developer at Beagel.io, is doing a demo tour of Ireland this week to showcase online bidding platforms for auctions, private treaty sales and new homes to developers and estate agents – Please note that we are not in any way connected with this company, our interest is simply in educating the industry about market-ready solutions! ‘Phantom bidders drive up estate agent gripes’: This article refers to the number of complaints made to the regulatory authority against estate and letting agents, which increased by 16% in 2017. One of the common complaints among potential homebuyers relates to so-called “phantom bidders“, that is rival bids invented by estate agents to drive up prices. As above, the technology already exists in the Irish market place and is being used by some good Irish estate agents to facilitate open and transparent building online for private treaty transactions, not just auctions. 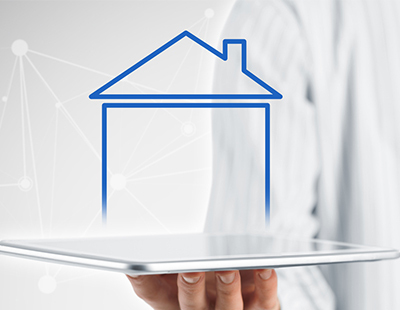 Estate agents have been quite resistant to engaging with industry change and technology. If this resistance is down to fear of change and general lack of education, then they must educate themselves. If the reason is to resist transparency, then these agents will unlikely remain in business beyond the next few years as both buyers and sellers demand better service – that is not a threat or fear-mongering, it is simply a reflection of the changing marketplace. And the marketplace has unquestionably changed. Traditional estate agents must change along with that in order to remain relevant otherwise they may find themselves removed from the transaction. The key is to find new and better ways to add value and improve the whole user experience for both buyers and sellers.